Presently, the company I co-own has a team of over 70 employees and associates who form part of a rich and diverse, but most importantly, local workforce that drives this island’s economy forward. My degree in Economics, 8 years of banking experience and 20 years as an entrepreneur gives me the skills needed to uplift our island’s economy and allow it to thrive for years to come. It also allows for transparency and accountability in the Town Council when elected. Which Portfolio would you like to fulfill and why? What do you understand to be the responsibility of the Mayor and Council? What do you think is the single most important task you will have to do as mayor? Finance is the portfolio under the Mayor’s responsibility. This is the most important aspect of our economy and the PUP 7 feels the finances of San Pedro have been neglected and grossly mismanaged by the present council. For any organization, whether profit-making or governmental, the proper managing of funds is vital to its success. The fact that The San Pedro Town Council continues to have a solid revenue base in excess of 7 million Belize dollars is a good foundation which will be nurtured and polished to robust yearly revenue of 10 million dollars which can be achieved through sound planning and effective cost-cutting measures. We are also prepared to execute a strategy geared towards tackling the debt that our present Council has, by all accounts, allowed to develop to unsustainable levels. We also anticipate and are prepared to confront, the real possibility of inheriting a Town Council office that may not have the funds to even pay the first week of salaries for its staff. We can support this statement with the mounting evidence of delinquency in payments to the Social Security Board, Income Tax Department, Gas Stations, Auto Parts Co. and also repeated occurrences of Town Council checks being returned for insufficient funds. Upon being elected, the PUP 7 is fully committed to providing a comprehensive financial report for our community to be informed. The finances, profits, and expenses processed by our future Town Council will be available to the general public so as to ensure complete transparency in all of our operations. Should the opposition win most seats, how do you plan to work with them? We are the current opposition, but should the UDP gain the most seats, then it is incumbent on them to assign just and worthy portfolios to each councilor whether UDP or PUP. We know that in the event that we gain the most seats, we would do the right thing and assign portfolios to UDP councilors. We would expect them to carry on with their duties responsibly and with integrity and to work hand in hand with the entire team at the San Pedro Town Council. Please remember that once the votes are cast and counted, and elections are over, there is no UDP Town Council or PUP Town Council, there is only the San Pedro Town Council. Should you win, what would be your top 3 priorities for our community? 1.) Set a timeline of no less than 60 working days to evaluate and come up with a comprehensive financial report for this community. To fix our financial woes we certainly will have to look at the real possibility of Debt consolidation to alleviate for the moment. 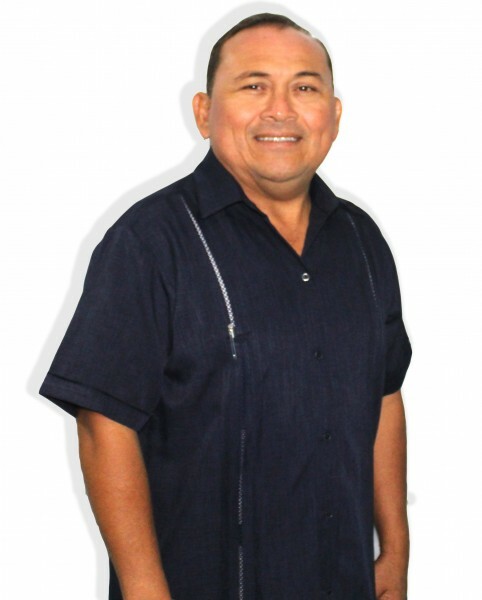 The goal is to restore the integrity of The San Pedro Town Council as priority number 1. 2.) Embark on an ambitious plan to pave no less than 9 miles of street within San Pedro Town. 3.) Garbage collection and disposal is urgently needed by way of more equipment, personnel as well as launching an ambitious program of educating our community on how to do their part in garbage disposal. The People's United Party believes that 15 years of UDP control has resulted in complacency so rampant that there is no will on their part to carry on or much else present a plan of action. This PUP 7 was inspired by the struggles of our people to bring about a change; one that benefits us all as individuals, families, businesses, and society as a whole. We have heard the cries of the people and thus determined that we need to be the change we want to see on our island. We are focused on forming partnerships with NGO’s, faith-based organizations, the proper authorities, our youth, our women and the community, in general, to truly make San Pedro the number one Island in the region. This PUP 7 believes that it is in working together that infrastructural development, economic growth and a better standard of living can be achieved. We are confident that come March 7, this young, vibrant and determined PUP 7 will form the next San Pedro Town Council.